Karen Brooks addresses an engineering class at Eureka High School. The students in the first period culinary arts class at Zoe Barnum High School are restless. They check their phones and turn around in their chairs to talk to friends. Karen Brooks — medium height, long dark hair, a patrician nose and upright posture — waits patiently. "High schoolers have great ideas but the worst self-confidence," she says privately. Brooks, a coordinator for the Humboldt County Office of Education's Decade of Difference program and former state assembly candidate, will spend the next few weeks traveling to schools all over Humboldt County in search of the next Steve Jobs, Arianna Huffington or Elon Musk. She says it's the most rewarding job she's ever had. But before she can convince the kids in front of her that they can become successful entrepreneurs, she has to convince them to talk. One student with a shaved fade and a bandanna-patterned sweater is adding sriracha sauce to a container of food he just heated in the classroom's microwave. "What is that?" asks Brooks. "Orange chicken over rice," he replies, adding proudly, "I'm a culinary genius." While the students around them gossip, Brooks and the boy get to know one another. His mother taught him to cook, he explains. She attended culinary school but had to quit when she became pregnant with him. As they talk, another young man enters the classroom and begins rifling through cabinets in search of food. Finding nothing, he leaves again. Brooks seems to take this as her cue. Walking to the front of the class, she begins trying to sell the Innovate Business Challenge. 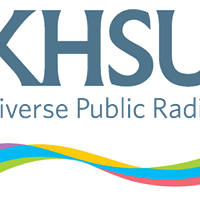 The competition, which began in 2012 as part of the Humboldt County Office of Education's Decade of Difference initiative, culminates with five students presenting their business plans to a panel of judges who, like the television show Shark Tank, award $8,000 in cash and prizes to select proposals. Previous winning business ideas have varied from screenprinting services to cruelty-free veal and firestarters. The entrepreneurs aren't always the best students, Brooks says, nor are they necessarily on a path toward higher education. What sets them apart is a good idea and the drive to succeed. She points to a list of ideas the students had discussed last class: burrito delivery to the district office, a salad wagon, pizzas, muffins and scones. "What can you do differently?" Brooks asks, suggesting they take a vote. "Voting won't go well in this class," says the student with the orange chicken. "Yeah," says a girl with vivid blue eye shadow. "No one will raise their hands." Brooks is undeterred. She tells them about a recent Innovate winner who was initially too shy to meet her eyes. He recorded his elevator pitch video, the first phase of the competition, in his dimly-lit bedroom using his iPad. 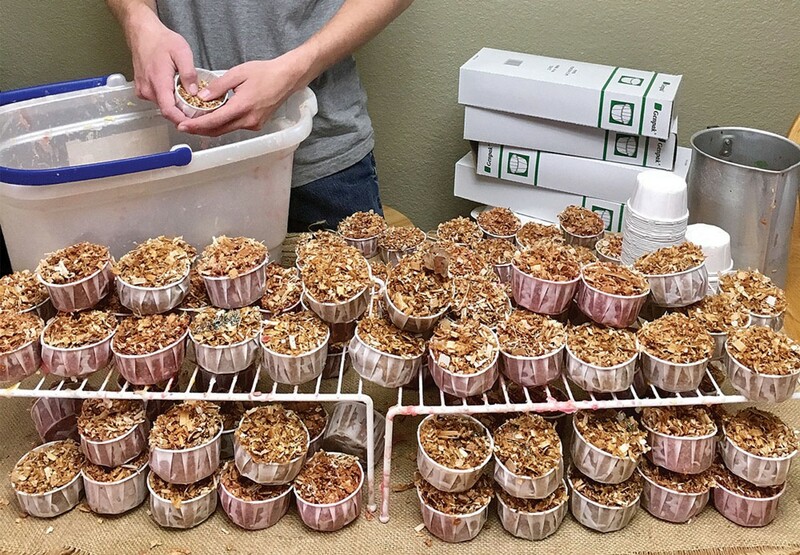 That student, Cody Hurst, went on to win the 2013 contest with a simple, low overhead product: quick-burning firestarters made from leftover candle wax and wood shavings. 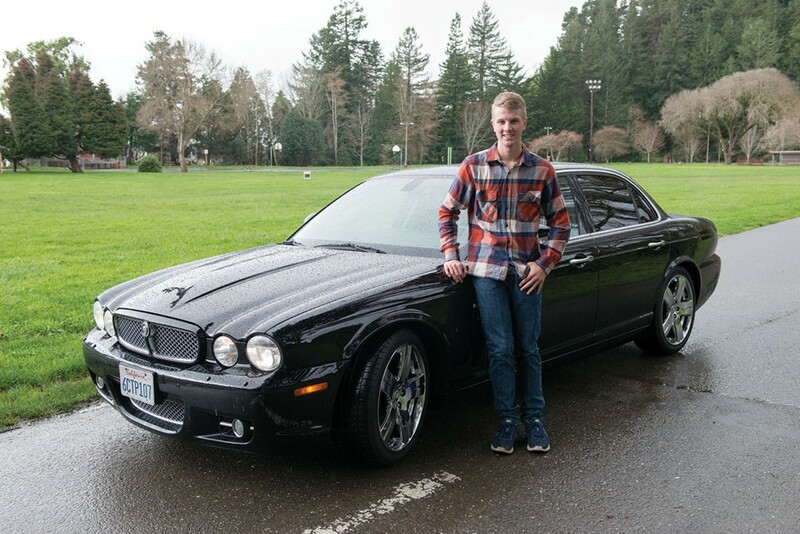 Within a year of launching, the Fortuna High School sophomore had sold more than 100,000 firestarters. By the time he got his learner's permit, he owned two BMWs. At the mention of the cars, several students put down the phones. Brooks knows how to reach teenagers. She ends her presentation by handing out small bags of cookies and encouraging them to submit their own videos and upload them to the Decade of Difference website. Hurst, now a 19-year-old freshman at Humboldt State University, says that Brooks has somewhat oversold the success of his firestarter business. The money to buy the BMWs (and a Jaguar) came not only from Lite My Fire, which is still active, but also his part-time jobs detailing cars and mowing lawns. Hurst now owns six such luxury "project cars." He drives some and restores others with his father, then sells them. He has been an entrepreneur since the sixth grade, when he began mowing his great-grandmother's lawn to save up enough to buy the same iPad he used to record his pitch video. It took him seven months. "I've always been one to get what I want," says Hurst. "I go for my goals." Hurst says a strong support network of parents, grandparents, teachers and friends has been crucial to his success. The wax for his firestarters came from his grandmother's old candles; the shavings from his grandfather's woodshop. His father, who owns a trucking business, offered advice from his own experience as an entrepreneur. "It's in my blood," jokes Hurst, who says his family never pushed him to get a job, but encouraged his many ventures and helped him with transportation and opening a bank account. Hurst is rarely idle. "Sometimes they tell me to chill out," he says of his family. In the second stage of the competition, the hundreds of students who upload their videos to the Decade of Difference website are whittled down to 40. They then answer a series of business concept questions, such as identifying their primary customers, describing their brand and detailing how they will pay for expenses. The biggest obstacle for Hurst, who is tall, blonde, earnest and still quite shy, was overcoming his fear of public speaking to pitch his project. The video was challenging; going before the panel of judges as a finalist was nerve-wracking. "Talking one-to-one with people is fine. Speaking in front of a large crowd is hard," Hurst says. "But I just did it. I practiced my speech over and over." Hurst had the benefit of one-on-one advice from Steve O'Meara, founder of the successful local sports apparel company Kokatat. O'Meara is one of several local business owners who donate time to the Innovate program each year, helping young entrepreneurs crunch numbers and get real about what it would take to get their businesses off the ground. "It's been great fun," says O'Meara. "It's amazing what the kids are able to do." O'Meara, who launched his business in 1971, says the students he has worked with in the last the three years are often at an advantage when it comes to marketing due to their fluency with social media but need lots of guidance with finances. "The stuff around money is the toughest," says O'Meara. "Just knowing how much they need and the true costs of products. You need to be actually making money once you're doing it." Along with exploring profit margins and branding opportunities, the experts offer insight into product development and preparing balance sheets. Hurst, who is now a business major, says he didn't do the challenge for the money but for the experience. Numbers weren't his strong suit but going over the books with O'Meara and planning the logistics of his firestarter business down to the last ball of wax helped boost his confidence. He survived the second phase of the competition — filling out a form with 13 business concept questions — he and four other finalists were chosen out of a field of 40 students to go to the final round. "I wasn't a confident public speaker, so it was a huge thing for me to have to do it in front of people," he says, referring to the Shark Tank-style question and answer round in front of a panel of judges and an audience of around 100 people. "It was really, really rewarding. Once it was over, it was a release because I had faced my biggest fear: public speaking." Hurst reinvested the $1,000 he won into a more sophisticated melting pot for his firestarter business. He continues to sell them at local hardware stores and craft fairs, while flipping cars, mowing lawns and taking detailing clients on the side, all while juggling a full courseload at school. "Washing cars is therapeutic for me," he says. "I'm always stressed out about something." Hurst plans on attending the final presentations for this year's students in May, as he has every year since he won. Besides the monetary rewards, he says the Innovate program has also been a great way to network and make friends with other similarly minded students, such as Genevieve Regli, a Ferndale High School senior who went to the finals in 2015 with her pitch for cruelty-free veal. Like Hurst, Regli could be considered an overachiever. President of the North Coast chapter of Future Farmers of America and 2016 California Milk Advisory Board District 1 Dairy Princess, the fifth-generation dairy farmer says the idea of taking bull calves and selling them to local restaurants had always been in the back of her mind. The male calves of dairy cattle are usually sold at auction while the female calves are kept to become milk producers. She stresses that the calves, which are usually butchered at around 6 months old, are unrestrained and only have "one bad day" in their lives. Along with supplying meat to the North Coast Co-op and private families, Green Grass Veal has also donated meat to the Betty Kwan Chinn center. Regli, who spent her $2,000 in prize money on promoting her business, says she's not sure where it will go next. She is contemplating buying a trailer and expanding, but she also has a 17-year-old's traditional set of challenges. "It's difficult," she confesses. "You're not only having to manage school, sports, extra-curricular activities and college applications ... [you wonder] do I want to go big with this now, do I want to go into restaurants and stores, or put that on the back burner? That's definitely the decision I had to make." Regli is currently scaling down as she finishes high school. Two Arcata High School students who also won prize money in 2015, Owen Reiss and Canyon Robins, invested their winnings back into a patent for their product, the E-raser, which emerged from a chemistry class mishap when they discovered that a rubbery substance they created could serve as a stylus on electronic devices. Greg Bowen, a vice president at Umpqua Bank, says the process of watching students take such a wide spectrum of ideas and hone them into viable businesses is "pretty rewarding." Bowen was on the entrepreneurship committee when the Decade of Difference program began in 2010 and the bank donates $5,000 in prize money annually. He also sits on the judging panel each year. "If you look at the videos when they first start and pitch their ideas, they're so nervous," he says. "But by the end of the competition, when they can stand in front of people talking about the business concept ... we feel proud and rewarded at the end." Mary Keehn, founder of Cypress Grove Chevre, says judging the competition was one of the best things she's ever done. "These kids were so fantastic, they were so prepared," she says. "I just can't tell you how cool they were. Anyone would hire these kids at any time." Keehn is one of many local entrepreneurs who carved out a creative niche of their own so they could stay in Humboldt County as its historically strong extractive industries — logging and fishing — began to wane. The region is currently home to a robust number of small businesses and start ups, some of which — like Cypress Grove Chevre and Kokatat — have gone on to national and international recognition. But the Decade of Difference program and the Innovate Business Challenge were created at least in part to address a different challenge: The exodus of Humboldt County's brightest and most talented youth out of the county. Some leave for educational opportunities, others to find their social niche and many, many others leave because they simply can't see a way to make a decent living here. Garry Eagles, the outgoing superintendent of the Humboldt County Office of Education, says that teaching students the basics of starting a business and fiscal literacy can help reverse that trend. "Many young people go out of the county for economic opportunities," says Eagles, who has been with the HCOE for 32 years. "I believe that we're beginning to turn that around. The trend seems to be stabilizing. I've seen some very interesting projects come out of the Innovate program." 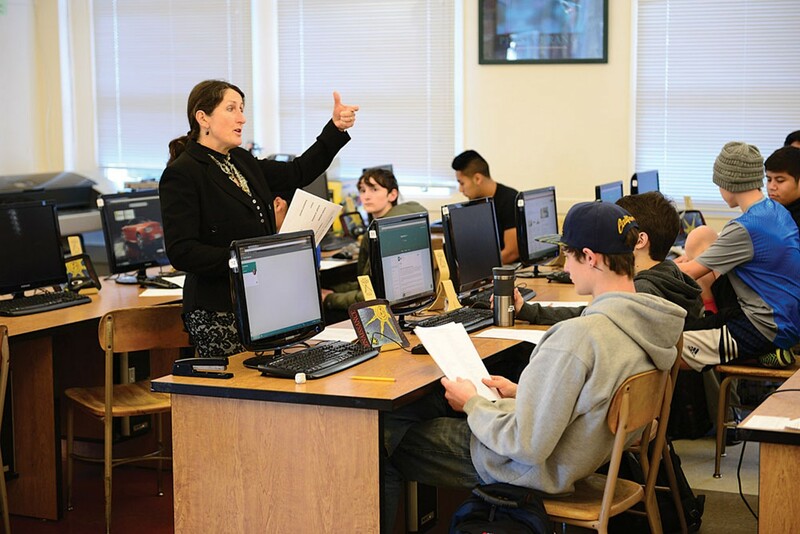 Back in 2010, the Humboldt County Office of Education launched the Decade of Difference, in part, to address this regional "brain drain" and prepare students to be part of a resilient workforce. Its efforts to promote financial literacy and career planning include Lemonade Day, which is aimed at grade schoolers. Many of the Innovate Challenge winners were leaving middle school when the initiative began, including Ferndale High School graduate Enrique Lopez, who placed as a finalist twice, in 2014 and 2016. Lopez describes himself as having been a mediocre student in grade and middle school. He was a high school freshman when he began to have "a different feeling" about his education. His father worked at a local dairy, his mother at a motel. He wanted to go to college. 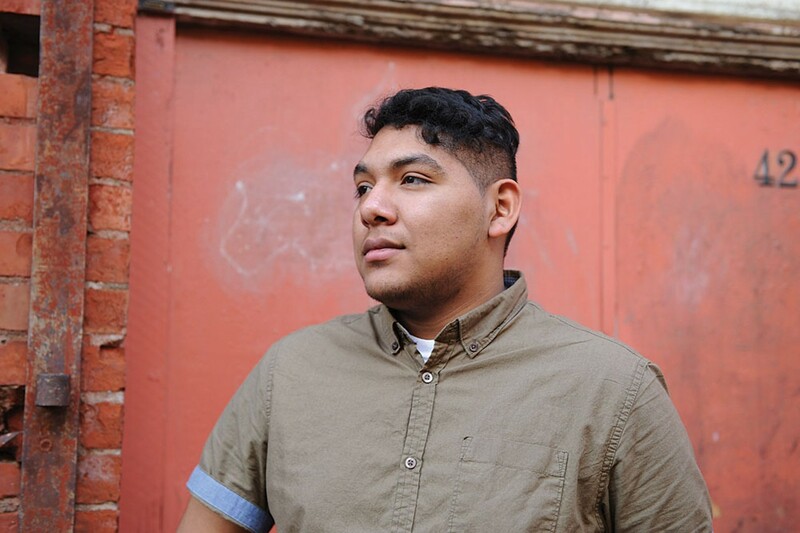 "I'm the first person in my family to have my own business," says Lopez, who won $500 as a high school sophomore for his pitch for "Enrique's Exceptional Ads," a graphic design business. Like Hurst, Lopez says the challenge improved his self-confidence. He found the presentation "very stressful." And like Hurst, his family stepped up to support him. They were all in attendance when he went to the final round again his senior year, this time for his photography business. He ended up winning $1,500, which he put toward a new laptop. The boost he got from the Innovate challenge was more than monetary, he says. Although his portfolio as a professional photographer is growing, his youth occasionally works against him. Getting a good shot requires a bond of trust between the subject and photographer, and Lopez, who is on the shy side, sometimes struggles with inspiring confidence. His success in the competition and the tips and tricks Brooks and the other mentors offered, contributed to his growth both as a person and a professional. 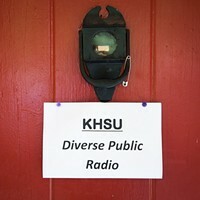 Now a freshman at HSU, Lopez, 18, is studying film with a minor in photography. By day he goes to class and works as an after school recreation leader at Grant Elementary School. At night he studies while doing the audit shift at the motel where his mother and sister work. 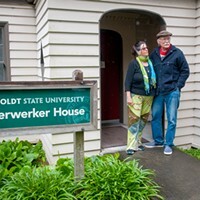 He chose HSU because it was affordable and close to home, but knows that in order to pursue his dream of photographing models he will eventually have to leave Humboldt County for New York or Los Angeles. Winning the competition has had a lasting effect on both Lopez and his family. He says his mother is now encouraging his younger brother, currently a high school student, to enter the competition as well. 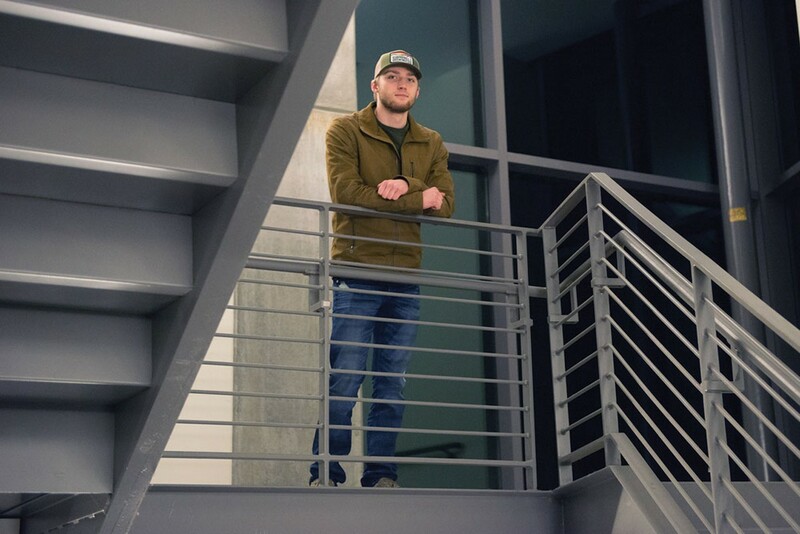 Even as Lopez and other students prepare to launch careers outside the redwood curtain, Connor Callison, a Eureka High School graduate and 2015 Innovate winner, is trying to find a way to stay. Callison, whose name might be familiar from his 2016 project, the Humboldt Challenge, a website and social media campaign aimed at encouraging people to explore Humboldt County, doesn't have a lot of time to figure it out. The 19-year-old, who is majoring in computer science at HSU, will graduate this spring, thanks to credits earned through a rigorous course load of advanced placement classes in high school. Callison's winning business, NorCal 3D, grew out of his interest in 3D printing. He says teachers at Eureka High School were very supportive: His woodshop instructor, David Stevens, let him build his first printer during class. The science and engineering instructors, Aletta Sauer and Ruth Mitchell, offered technical support. He still has the printers set up in his bedroom, but abandoned the idea of starting his own 3D printing business after meeting with a few real estate agents, realizing he had to make a decision between launching the business and focusing on his coursework. He chose school, reinvesting the $2,500 he won through the challenge back into tuition and books. His goal is to become a software engineer, though he doesn't want to move to Silicon Valley if he can help it. "Ideally I'd like to get a remote position," says Callison, who, between coursework and his part-time job upgrading the university's computer system, is on campus from 7 a.m. to 7 p.m. every day. "I love the access to the outdoors. On the weekends, I go to Trinidad or College Cove. The rivers are super close. I want to stay here."